Longstanton is a village in South Cambridgeshire, England, 6 miles northwest of Cambridge city centre. 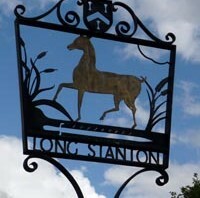 For most of its history Longstanton was split into two parishes: the larger Long Stanton All Saints to the north and the smaller Long Stanton St. Michael to the south. The two may have been seen as distinct by 1086, when the Domesday Book referred to a “Stantone” and a “Stantune”, and were certainly so by 1240, distinguished in Liber Memorandorum Ecclesie de Bernewelle as “Stanton” and “the other Stanton”. The two villages were not formally amalgamated until 1953. By the time of the Domesday Book “Stantone” was one of the most populous villages in the area, with 67 peasant tenants being recorded. By 1563 this had dwindled to 42 families, and the settlement had been overtaken in size by other nearby villages such as Chesterton. The population fluctuated between 400 and 600 for several centuries, until the village was transformed by the opening of RAF Oakington in 1940, resulting in the building of three new housing estates in the village and a trebling of the population. The airbase became an army barracks in 1975; on its closure in 1999 most of the housing was sold to private owners. The population of the village was recorded as 1700 by the 2001 census. By 2011 this had risen to 2657. 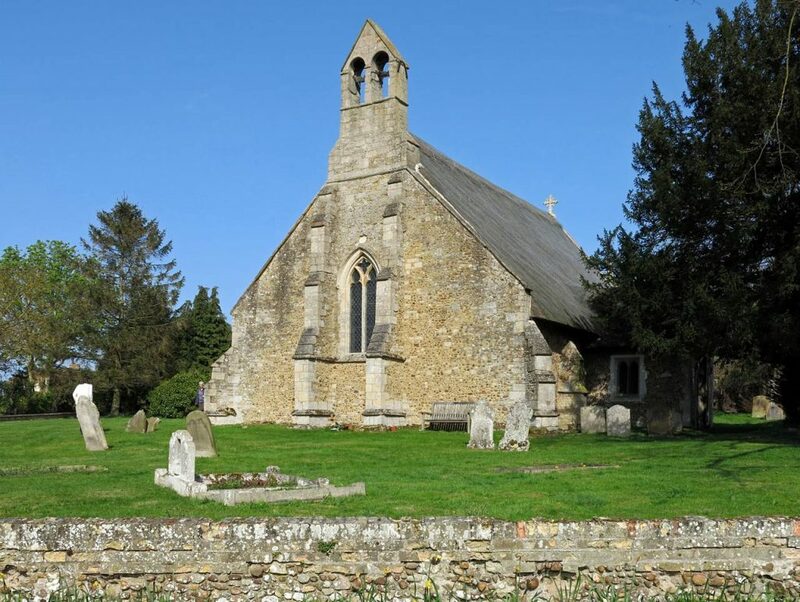 Longstanton is unusual among English villages in having two mediaeval churches – a reminder of its history as two parishes. The larger of the two churches, All Saints Church, is in the centre of the modern village and dates from the mid-14th Century, when it replaced an earlier church which was destroyed by a fire. It closed in 2003 due to a collapse of the ceiling, but reopened in 2007 after £10,000 was raised for repairs. It is a Grade I listed building. St Michael´s Church, situated towards the south of the village, is the smaller and older of the two churches, having been built around 1230. 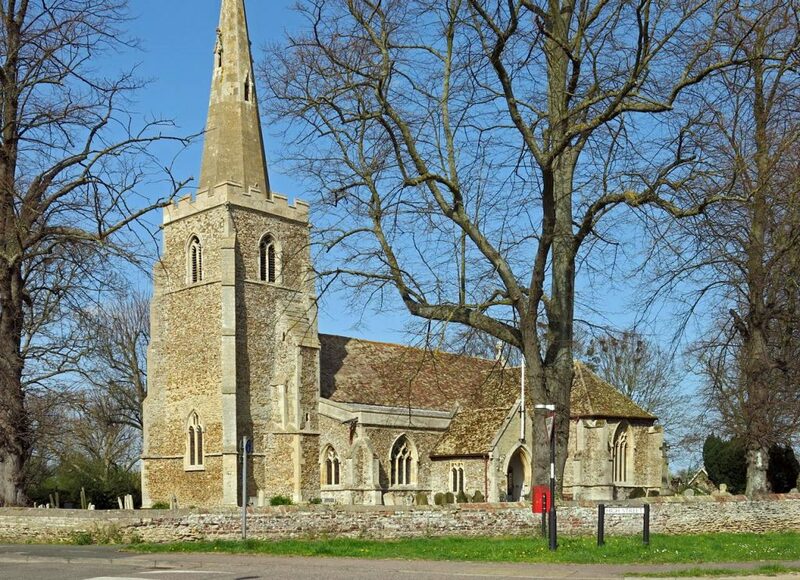 It is notable as a rare example of a church with a thatched roof (one of only two surviving in Cambridgeshire), and is a Grade II* listed building. It has not been used for regular worship since the amalgamation of the parishes, and is now maintained by the Churches Conservation Trust. Churches modelled after its architecture have been built as far away asPhiladelphia (see Church of St. James the Less) and South Dakota. Long Stanton railway station operated between 1847 and 1970. A part of the Cambridge and Huntingdon railway the station was immortalised in the Flanders and Swann song, “Slow Train”. Despite surviving the Beeching Axe, passenger services to Long Stanton were ended in 1970. Cambridgeshire Guided Busway, the world´s longest guided busway, serves Longstanton. The village has a newly rebuilt primary school, a Village Institute, numerous businesses, including a Post Office, and a Health Centre. The Black Bull pub is over 300 years old and has recently been extended to provide a smart restaurant specialising in Chinese cuisine. For more detailed historical background, please see pages 6-10 of the Longstanton Parish Plan - 2005-2015. Also the website of the Longstanton and District Heritage Society is a goldmine of historical information about our village. With thanks to The Cambridgeshire Village Book and visitoruk.com. The logo currently used by the Parish Council is derived directly from the village sign which stands at the end of the Dale, just opposite the Village Institute. In May 2017, the Longstanton & District Heritage Society published a leaflet ‘A Guide to Northstowe History‘. Intended primarily for new residents of Northstowe, and despite its title, this is essentially a short history of Longstanton. It is available online here.